Moving to day four in Beijing. Second stop of the day after visiting the oldest mosque in Beijing was the Temple of Heaven. This temple was built in 1420 to be the place where emperors of the Ming and Qing dynasties worship Heaven and offer sacrifices. In return they want more harvests and favorable rain. Most of the structures were constructed in the Qing Dynasty in compliance with the layout system set in Jiajing's reign of the Ming DYnasty. It is built so that the compound wall done in a semi-circle in the north and a square in the south. Surrounded by double annular walls, the temple is divided into an inner part and an outer part. The whole area is 273 hectares. As usual, we had to wait for Ms Lili to get our tickets. No tourist place is free to enter without a ticket. I wonder how foreigners gonna understand the writings above the counter? 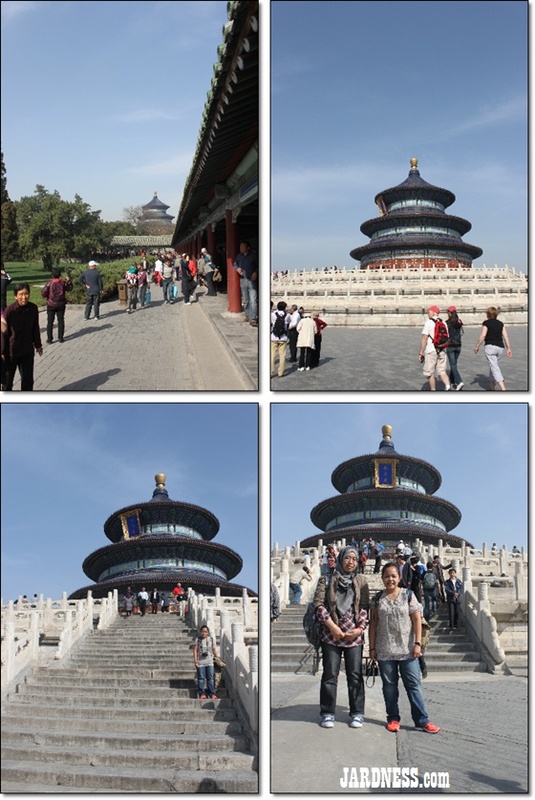 It was just a brief walk down the aisle and upwards to the Temple of Heaven. Many people were present during that time. Some were there to hang-out with fellow friends and I noticed the majority of the local visitors were elderly people! and Fie and I at the front of the temple. Jianxi, a popular game among the Beijing people at the park. See the "ball"? On our way out, we walked through a wide pathway where it's crowded with people playing Jianzi. A traditional Asian game in which players aim to keep a heavily weighted shuttlecock in the air using their feet and other parts of the body except their hands. It was interesting to watch them play. Hehe. 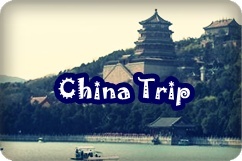 Next stop is Jingshan Park! -- next entry. @redlomo.. hehe.. wish u can visit soon oso. @hcworld... yes true! saw lots of people there during various activities! @nurul Akmal.. hehehe. rajinnya cari ball dia.